Reading a brochure from the Laz-y-Boy company the other day, I came upon the claim that Laz-y-Boy, Inc. is “being mindful” with respect to the environment. I was heartened to find that reassurance, but I couldn’t help wondering whether the company was voicing an authentic concern or merely striking a fashionable attitude. Over the past two decades, the practice of mindfulness has assumed a prominent place in American life. In the vernacular of our times, mindfulness has gone mainstream. American corporations, particularly those situated in Silicon Valley, have embraced the practice, chiefly as a means of reducing stress and increasing productivity. So have the military academies, the health-care system, the prison system, and, more gradually, public schools and higher education. Yet, as the practice has gained in acceptance, it has sometimes lost sight of its origins in Buddhist meditation, and a central component has often been left behind. To be human is to inhabit a realm in which ethical responsibility is not only possible but requisite. Thus, mindfulness must be understood to be more than simple concentration: we need to be as clear as we can about the nature of what we are doing and why. A murderer intent upon his victim is certainly concentrating, but that kind of single-mindedness is very different from the ethical attentiveness that characterizes a state of true mindfulness. As these remarks suggest, “ethical attentiveness” begins with awareness of what we are doing at any given moment and the impact of our actions on the rest of the world. If, for example, we are playing loud music or talking into a cell phone in a public space, true mindfulness will remind us that we are contributing to noise pollution and diminishing the peace and well-being of other people. Merely by being present for our actions, we can recognize when we are causing harm and when we are not. Beyond this basic social awareness, the practice of mindfulness can also awaken us to the ethical content of our feelings, thoughts, and states of mind. 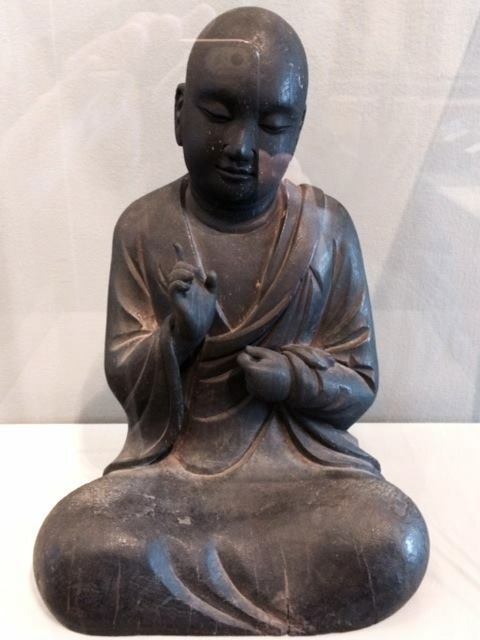 The Four Foundations of Mindfulness (Satipatthana Sutra), a core text for the practice, enjoins us to identify our present, transitory feelings (that is, sensations) as “pleasant,” “unpleasant,” or “neutral.” We are also directed to examine the “roots and fruits” of our feelings, distinguishing between “worldly,” ego-based feelings such as craving and aversion, and “unworldly” feelings such as compassion and sympathetic joy, which are grounded in selfless awareness. By watching our feelings in this way, even as they are arising, maturing, and disappearing, we can learn to observe how pleasant, unpleasant, and neutral sensations engender our emotions and mental states, which last much longer than feelings and often result in speech and action, whether harmful or beneficial. We can note how a spark of anger can become the flames of rage, or a tinge of melancholy spiral into depression. With practice, we can also learn to distinguish between so-called “unwholesome” mental states, such as craving, hatred, and delusion, and “wholesome” states like concentration, loving-kindness, and equanimity. By bringing awareness to our unwholesome states of mind, we decrease their potential to harm ourselves and others. Fully aware of our lust or anger, we are less likely to translate those mental states into speech or action. Conversely, by recognizing and actively contemplating our wholesome states of mind, we can strengthen their force in our daily lives. In Buddhist meditative practice, specific contemplations are devoted expressly to that purpose. Continuously responsible, I might add, even when you are surfing the internet–or relaxing in your Laz-y-Boy recliner. Sangharakshita, Living with Awareness: A Guide to the Satipatthana Sutra (Windhorse, 2003), 14-15. Sayadaw U Tejaniya’s comment is quoted by Joseph Goldstein in Mindfulness (Sounds True, 2013), Kindle edition, 103. Photo: Figure of a Monk. Artist unknown. Wood. 9th-10th century. Minneapolis Institute of Arts. Excellent discussion, and a much needed reminder. I will share this with my meditation group if that’s ok? Thank you, Ed. You’re welcome to share this essay with your group. I would be interested in their responses.